How about sending the signature to an employee? Imagine the scenario: You are the company manager or IT boss and have been assigned to standardize the assinaturas of email Of all employees, let’s say no 15 people. Spontaneously, it finds Bybrand and manages to create beautiful assinaturas for all, quickly, using the clone feature . The problem arises when you need to send the signatures files specifically to each employee. You do not want to, and neither can go on each machine personally and insert the signature in the webmail or email client like Outlook. 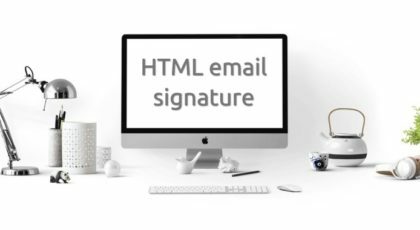 Sending the signature HTML file with attachment may not be the best option and putting together a step-by-step can be tedious and time-consuming. Now comes the easy solution. 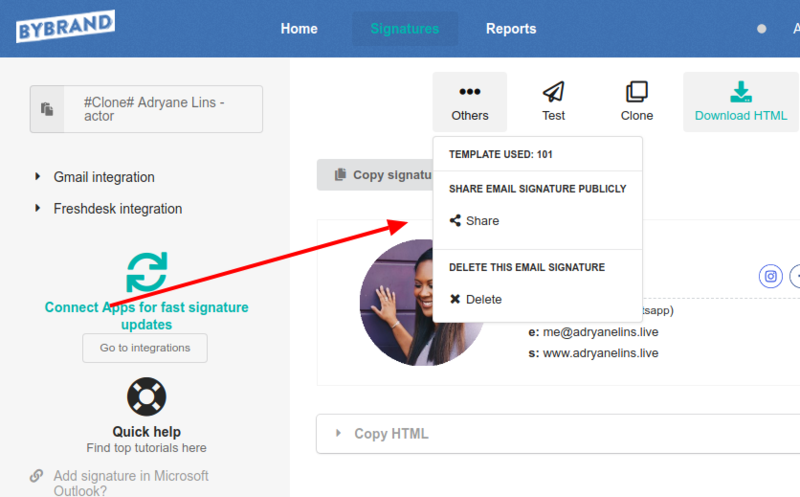 The share signature feature Solves the above process in just one action. 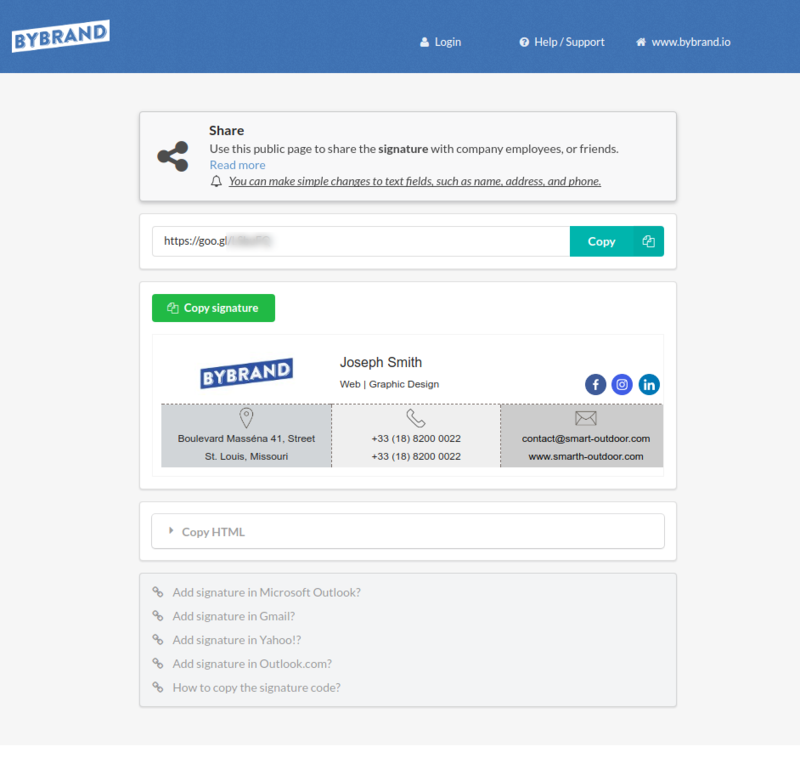 Sharing a signature with anyone who does not have a Bybrand membership is easy. On the signature code page, visit the share button and note the global address, visible to anyone. With this, you can send the signature link via email, or as a simple instant message. The contributor will be able to access the private signature link that was created for him. And by own means paste the content in the webmail or email client like Outlook. Realize that in the end you have good, self-help tutorials. The page is identical to the one you see in the restricted area. It is possible to copy the rendered code or pure HTML, supported by some email clients. Now, you the IT manager or manager have more time to devote to the important functions of the company, rather than having to register the <glossary>assinaturas</glossary> for each one. Imagine now, if instead of 15 employees, the company you work has 30, 50 or 100 employees? We think that for large numbers of employees, signing-up may not be the best option. Medium and large companies generally use Google Mail, Microsoft Office 365, Microsoft Exchange or similar. There comes the question of sending the signature files directly to the email account via the API. Finally, never outsource customer service. Success is not delivering functionality, but learning how to solve customer problems. The need for signature sharing functionality arises when clients were asking how they could send the signature created to collaborators. This has once again proved the importance of not outsourcing customer service. Thanks to everyone who sends feedback, that way we can build a service that adds value to everyone. In June of this year, the launch of the integration with Gmail was announced, created to facilitate the process of updating email signatures with only one click. In Octuber of this year, the launch of the integration with G Suite was announced, facilitating the creation, management and updating of the email signatures belonging to every user within the organization. Excessive email often causes annoyance. Do you know of a company or website that keeps sending messages, even when it leaves the list?